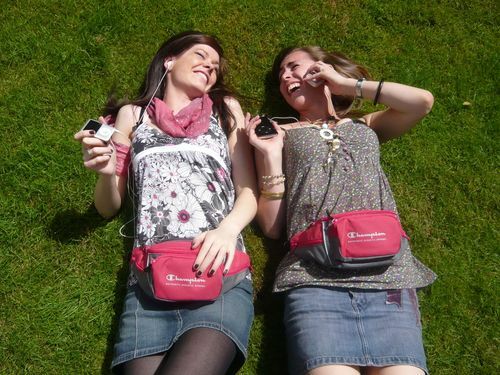 As Glastonbury kicks off this year’s festival season, bum bags are set to make a comeback as the must have fashion item, combining festival chic with security conscious style. Generally associated with snap happy American tourists and countryside ramblers, bum bags are now selling like hotcakes on style websites such as ASOS - tipped as the must have accessory for festival loving celebrities including Kate Moss. With the average festival goers clobber now totalling over £500, Swinton the UK’s leading high street insurance retailer is hoping festival revellers will catch on to the bum bag craze and is encouraging party goers to use them to keep expensive items safe and secure. Today’s party goers can protect their belongings with travel insurance for festival or camping breaks. Swinton’s travel policy is available for about a fiver and can be purchased in one of its 470 branches or through its website. 5. They won’t get in the way of your killer dance moves! 8. Because it’s attached to your waist it’s impossible to lose it. 10. They are the ultimate, retro accessory – what more reasons do you need?! Single item cover up to £200 and up to a total of £300 for all valuables. Valuables include jewellery, gold, silver, precious metal or precious or semiprecious stone articles, watches, furs, cameras, camcorders, photographic, audio, video, computer, television and telecommunications equipment (including CDs, DVDs, tapes, films, cassettes, cartridges and headphones), computer games and associated equipment, telescopes and binoculars. •	Swinton offers a ‘clicks and bricks’ approach to insurance - online prices with a high street presence. This press release was distributed by ResponseSource Press Release Wire on behalf of SKV Communications Ltd in the following categories: Entertainment & Arts, Personal Finance, Travel, for more information visit https://pressreleasewire.responsesource.com/about.